Like a thrift store, you never know what is going to be in stock; depending how far away it is, it may not be worth your drive. But if you have a salvage grocery near you, I recommend checking it out, at least two or three times over the course of weeks or months, as it will change regularly. We have a place in our region called Crofton Country Cupboard. 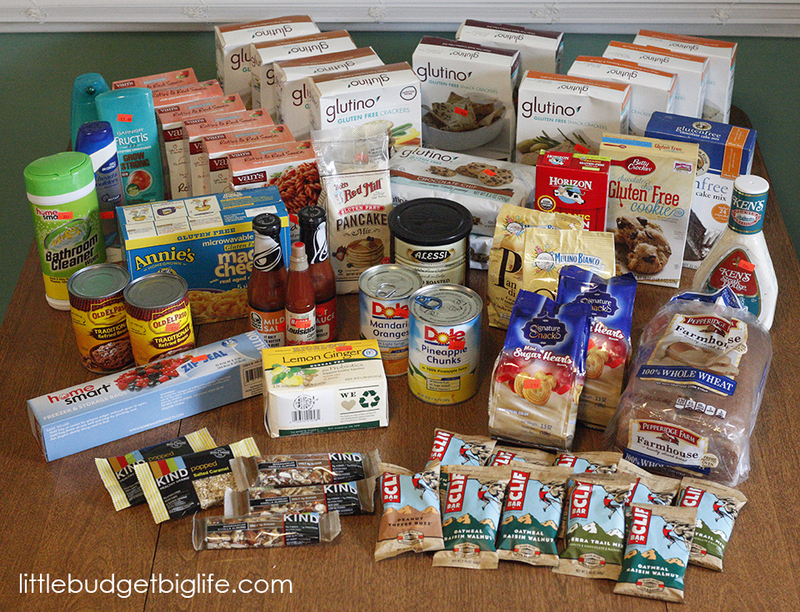 It is where I purchase many of our gluten free snacks and other prepared foods without breaking the bank. The people who operate the store are super nice; they have an amazing deli in the other side of the location and their fresh bread--although we can't eat it--makes the entire place smell wonderful. Here are the spoils of a recent visit. This is a lot of food, and the majority of it is gluten free. I don't know how much I would have paid for it at a regular store, but I can tell you that it would have been a lot more than the $37.41 I paid that day! 1. Find out before going if they accept cash only, and take your own bags or boxes. 2. Don't take a list, because you never know what's going to be there. 3. Do walk every aisle, both sides, to see everything in stock. 5. Do check expiration dates before purchasing. 6. Don't buy things just because they're cheap--only buy if your family will actually eat them. 7. Don't get discouraged if you don't find a cart full of good things. There's always next time. If you have a good salvage grocery near you, I would like to hear about it! I love the Cupboard, and stores like it. Amazing what you can find by word-of-mouth or by popping into places off the beaten path.